Pick a night, whether it be Friday, Saturday or student night on Thursday, and you will find dozens of people lining up outside late night takeaway establishments, leaving with plenty of food in small polystyrene boxes. 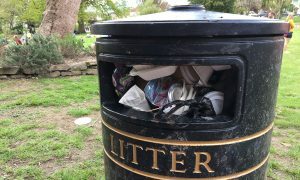 The next morning go into town again and you’ll find those same polystyrene boxes overflowing in bins and strewn across the town. Not only are these boxes considered an eye-sore, polystyrene plays a detrimental role in the environment and to our health. Food and beverage containers are the most commonly found plastic pollution found in our oceans, out of the 260 million tons of the world produces each year, 10% of it ends up in the ocean with records showing that for every 100 meters of British Beach, there are over 200 plastic or polyester items. Increasingly polluting oceans, polystyrene can harm and even kill sea creatures. The toxic substances can end up in the food we eat and cause severe health problems. On the 5th April, a petition was created, on change.org, calling for polystyrene takeaway packaging to be banned from Falmouth. Just five days after it began and the petition has already gathered over 160 signatures, just short of its 200 goal. Taking over 500 years to decompose, the existence of these takeaway boxes appears to be never-ending and the extent of the problem seems almost too big to manage. But, after the success of the plastic straw ban earning Falmouth and Penryn the ‘Plastic Free Coastline’ award, the possible success of the petition may not seem so far out of reach. But what do takeaway establishments think of this movement? “I don’t see any reason why we should be using any sort of single-use material at all, especially ones that have more detrimental effects and if there are more environmentally friendly alternatives” weighed in Harbour Lights manager, Rachel; “We acknowledge the fact that we live in a seaside town and inevitably what we put out into the environment is going to end up near the beaches but we can’t really control what people do with them once they leave. “On our packaging, we do say please dispose of this properly, please recycle, but we do know that unfortunately, some people do leave them in the harbour. While I was unable to get a comment from takeaway locations in and around Falmouth which use polystyrene, such as Cod on the Corner and Bayside Grill, it appears that some establishments are already on their way to become polystyrene free. Bryan Martin, owner of Nemo’s Fish and Chip shop in Penryn, talks about the changes he’s making to be better for the environment despite the expenses. 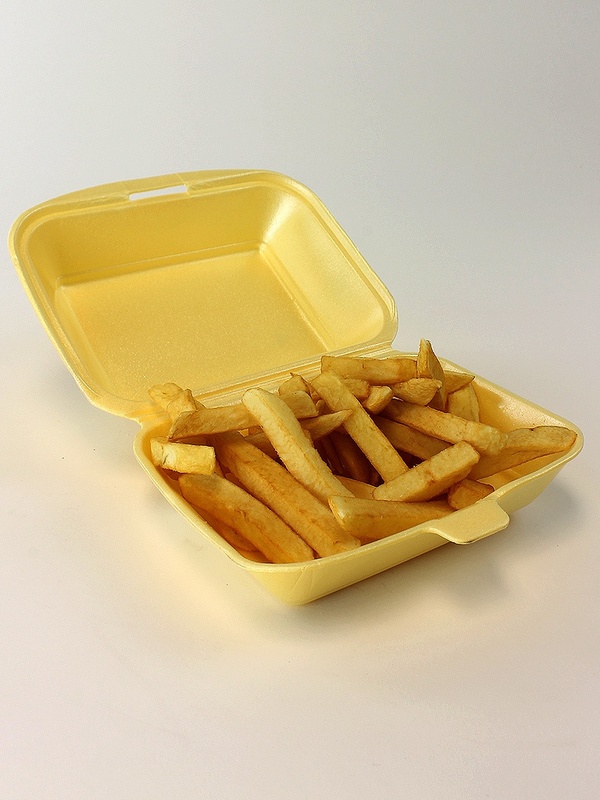 “We used to have polystyrene boxes for the chips and for the fish and chips but we got rid of them and decided to do these biodegradable boxes made out of paper and the only polystyrene boxes we use are for the hamburger but we’re going to phase them out as well. We’re trying to do our little bit for the environment and also the plastic forks we changed them for wooden forks. You can buy biodegradable ones so you don’t need polystyrene anymore, polystyrene has been and gone I say. As Falmouth residents continue to push for plastic alternatives, Falmouth is well on its way to becoming a plastic free environment.